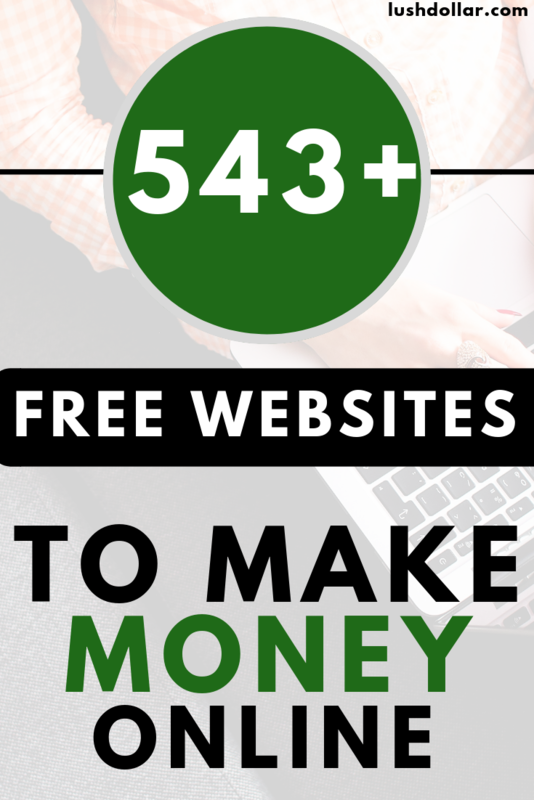 You landed on this page for one reason only — to make money online, and I’m going to show you how to do that with these 543+ websites. Over the months, I compiled a HUGE list of ways to make money online, and I really hope there’s something for everyone here. As always, I try to include reputable sites and none of these will cost a cent to use. If you feel some of these websites are unethical and/or shouldn’t be here, do let me know. Again, there are many ways to make money, but this GIANT list will focus on the ways cash can be made online. WARNING: This post is extremely long. In fact, I should have turned it into an e-book, but since I’m nice, I’ll keep it free! If you do not want to scroll through the thousands of words, then I recommend you click on the categories below if you’re interested in any. Again, I will continue to update this list. By far, this is my favorite way to make money online. You’re not going to get rich doing it, but if you keep at it daily, you can make an easy $5 to $10 a day, I promise! First, you will want to sign up for an account. All of the websites I listed below are 100% free, if you’re lucky, some even pay you a bonus just for signing up. Swagbucks, for example, will give you $5 for signing up. When you log in, your dashboard will list hundreds, maybe even thousands of offers you can complete right now. This can include taking a survey, watching a video, offering feedback and the list goes on. Basically, you the website will tell you what you need to do in order to earn the money or points, whichever option they use. For example, you may get paid $1 to take a 10 question survey. All of these companies vary with their offers, which is why I recommend you sign up for all of them, but as we’re all different, you will find one that seems to offer you the most offers. You will see Swagbucks advertised on almost any “make money online” website, and let me tell you why it’s awesome. First off, they pay you $5 just for joining! If that’s not enough, they are considered a top 1000 website, meaning not only have millions of people joined, but advertisers want to be part of the system as well, meaning… lots of offers. With a TON of offers, Swagbucks pays you to shop, watch TV, answer questions, discover new products, play games and so much more. The best part? Every day, they continue to add offers, making it quite easy to make a good amount every month. SurveyJunkie is asking for influencers today who want to test out new products and offer feedback, all while earning rewards. Here, you can get paid for your opinion to help brands deliver a better product and service. Be sure to check out my Survey Junkie review in detail. When you sign up and build your profile (it’s free to sign up), you will earn rewards whenever you complete a task. Once you complete enough offers, you can then redeem it for a variety of rewards, including cash to your PayPal account. The best thing? You only need to be 13 or older to join (with parent’s permission), making it a great choice for those who are younger than 18. With Vindale Research, you can earn up to $50 per survey completed, much higher than the industry average in some cases. They also allow you to review products for compensation as well. To date, the company has paid more than $6.9 million and joining is 100% free. InboxDollars, like Swagbucks, will pay you to complete offers, shop online, watch TV, play games, search and so much more. If you want to get rewarded for watching TV, taking surveys or even shopping, then add InboxDollars to your list. Just like SwagBucks, they will give you a $5 bonus as well. CashCrate has been around forever, and like the sites mentioned prior, it’s very reputable. Like most of these sites, you can get paid for anything ranging from taking a simple survey to searching the Internet. Be sure to add this website to your sign-up sheet if you want to maximize your daily earnings since they do have quite a few “exclusive” offerings! 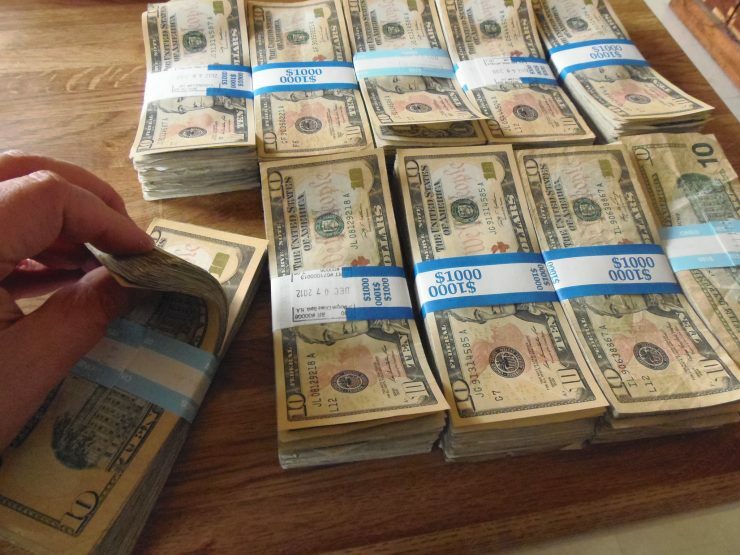 Again, you will not get rich, but it’s an awesome way to earn a few extra dollars. I do recommend you check out my in-depth CashCrate review to see what I think. MyPoints, like a lot of these sites listed here, will pay you to take surveys, watch videos, discover deals and so much more. Plus, it’s a great option if you want to get paid to shop online. Rewarding members since 1996, this is yet another popular company to consider joining and highly reputable among its members. At GlobalTestMarket, you will be rewarded for sharing your opinions and members have been rewarded more than $32 million to date. Joining is free and if you’re a fan of testing out new products, then it’s yet another reputable website to consider. For every survey/offer you complete with Pinecone Research, the company will reward you with points, which can then be turned into either cash or prizes. At Pinecone Research, you can learn more about products before they hit the market and even influence which products make it to stores. E-Poll will provide the venue, the research expertise and the technology for you to share your thoughts with the companies you use every day. If you enjoy entertainment, love to shop and want to become an influencer, then they highly recommend you apply. It’s free to join, with multiple surveys available! Be sure to check out my review as I tested them out personally and shared my thoughts. Cashback Research states you will not get rich, but they will pay up to $75 per survey — a hefty amount. Plus, you can even earn free, bonus cash just by reading a paid email. Aside from surveys, the company offers clinical study opportunities, which pay up to $150, making it a great way to diversify your online earnings. Like most of these websites, the more you log in, the more you may be able to make. If you want to make money completing offers, it can be done, however, it must be known that there are a lot of scams in this industry. Never pay to join a survey site. If the company asks for payment and/or the company asks for payment to share a survey list, run! Never join a company that claims you can make over $1,000 a month. Unless you have a boatload of referrals, you’re not going to be able to do this on your own, I’m sorry! Completing offers will probably make you $100 or $200 a month if you log in daily. Don’t expect to quit your day job. Never ever hand over your credit card number or social security number, regardless of their claim. Unless you’re making more than $600 a year with a survey company (highly unlikely), you do not need to supply this information. There’s a good chance you have some books laying around and if you haven’t used some in a while, why not sell them online? Heck, if you become good at it, you may be able to use the following websites to flip books you find at your local thrift store. The following websites I list are reputable, offer competitive quotes and can pay you within days — often via PayPal — of receiving your books. Yes, the powerhouse we have all come to love — Amazon — will buy back anything, including books. To get started, head to the Amazon’s trade-in page, insert the ISBN and see what Amazon can offer. Barnes and Noble will buy back your textbooks only and ask that you sell at least $10 worth of books to participate. Unlike most of the services I am about to list, however, you do have to pay for shipping costs. BookByte, an online bookstore which primarily focuses on college textbooks, allows you to sell back your books if you so choose. Like most of these websites, though, BookByte will ask that your book is in top condition and also in demand to receive an offer. They do have restrictions, so be sure to read the fine print before submitting. BookScouter is an awesome all-in-one tool — simply enter your ISBN and BookScouter will show you what 40+ vendors online are willing to give you for that book. This is a great option if you want to the value of your book all in one place. If you’re happy with a price, you can then check out the buyer’s/retailer’s feedback and ship your book off to get paid. Whether you’re selling, buying or renting a textbook, I found BooksRun to be quite competitive in their quotes. Here, you can sell one book or a dozen, and in some cases, you can even use promos/coupons to get the best buyback deals. Take a look at the comparison I did at the end of this subheading to see what all of these companies offered me for my book. Like the big names Barnes and Noble and Amazon, don’t leave Bookstores.com when receiving quotes for an instant payout. Enter your ISBN and either receive your payment via PayPal or as store credit. Type the ISBN, get a quote and if you’re happy with, ship it and get paid via check or Paypal. Shipping is included, with the average payment issued in 13 days, according to the company’s official website. CKY Books allows you to input multiple ISBNs, giving you a cash quote immediately. But the thing I like the most is that they accept almost any book type, ranging from fiction to a college textbook. Of course, the book must be in great condition to be considered, however. If you like the quote you receive, then CKY Books will let you print a prepaid shipping label from home, and once they receive your shipment, you’re paid via Paypal. There’s a good chance you have heard of the company, Chegg. More than just letting you rent and buy books, the company will also buy your books if they need it for their inventory. Get instant quotes, ship to Chegg for free and get your cash in as little as 10 business days. Decluttr will buy back just about anything, including books. They offer fast next day payments, a “price promise” and FREE insured shipping. With a near perfect five-star Trustpilot score and A- BBB rating, it’s one to consider. The quote was low, but it appears the company offers more for electronics rather than books. Glancing online, eCampus seemed to be a great option to sell your college textbooks, even if it had some scuffs or even highlighter marks. If your book isn’t in the greatest shape, you will often find other book buyers may not want it, so be sure to keep eCampus in mind. You may want to consider eCampus if your book isn’t in the greatest shape. Similar to other book buyback websites, Knetbooks shouldn’t be ignored, either, as you never know what they can offer. Aside from selling your book, it’s also an online retailer you may want to keep in mind if you want to rent textbooks for an upcoming college course. Said to be the world’s largest independent bookstore, Powell’s Books will buy your book, offering an offer immediately. If you’re happy with the bids, then you will simply ship your books to the company and they will pay you via Paypal. With more than 11,000 Trustpilot reviews, SellBackYourBook.com will offer you cash for your book and pay for the shipping as well. The website is pretty easy to use — enter the ISBN, check out the payout offer (if one is available), and if you’re happy with it, the company will pay you via PayPal in the next few days. Yet another college textbook-based website that’s willing to purchase your textbook instantly. The price quotes are valid for seven days, shipping is included and you can choose from three payment options: PayPal, cash or even store credit. When I was researching prices, TextbookManiac came on the top in terms of quotes quite a bit and would highly recommend you include them if you want to sell back any textbook. Not a household name, but they do offer some nice offers. Whether you want to sell one book or a hundred, keep Valore Books in mind as they do offer a pretty competitive quote in comparison to other retailers. Like the rest, type in the ISBN, get the price quote and accept if you’re happy with it. Valore Books lets you ship the book for free and you get paid via check or Paypal. So, how do these companies stack up? Your results will obviously vary, but when I looked on Amazon, I picked out one of the most popular textbooks at the time, College Algebra (6th Edition). Your results, however, will greatly vary depending on the book you’re selling. As you can see, the quotes can range from as little as $4 to as much as $60+, meaning you should always get at least four to five quotes before considering this route if you do want to sell your book. Have an eye for design? Today, you can make money selling t-shirts with your own unique designs… and the best part? It doesn’t require ANY inventory since the company will print from their warehouse and ship it directly to the customer. Simply create your design, upload your artwork and if you get paid, the provider takes a piece of the pie and you’re paid the rest. I know you have a skill… any skill, right? While you won’t make money today, you can make quite a bit if you’re able to market yourself online. Whether it’s creating graphics, writing or even transcribing work, if you can do it, market your services! And as long as it’s in demand and you do good work, I can promise you that you can start to make great money, especially when your repeat clients come back. With a TON of freelancing websites online, I wanted to highlight some of the best options online. Some of these websites allow you to post jobs, whereas some allow you to bid on jobs, or even a combination of both. Do keep in mind that some of these websites may charge you a fee to bid on jobs, but in some cases, it could be worth it. If signing up, be sure to read about the fees and limitations before joining. If you want to freelance, but you only want to write articles, then I wanted to list the websites that focus on writing only. Even if your grammar isn’t the greatest, don’t fret! Some of these websites will rank you based on your writing skills, and the better your writing is, the more you can get paid. Plus, as a bonus, a lot of these platforms could lead to private gigs as well since clients can contact you directly to send you work. Constant Content works a pinch differently than other writing websites as you will write an article and then submit it to the website, and you will only be paid once someone searches for your article topic and decides to purchase yours. As long as the topic is in demand and you set a competitive price, I have sold quite a few articles here. When you do upload an article, an editor will review your article before it’s submitted to the database, meaning only a select few are accepted and it isn’t posted right away. Since you can set your rate, most people can make anywhere from $0.05 to $0.15 per word. Your results will vary, however. I used Textbroker in the past as a writer and it seemed okay if you want to get paid to write online or start online. Paying about $1 per 100 words depending on your skill level (they rate you on five stars), you can jump into the writer’s pool and select an article you want to write. Most of the time, you should have work to choose from, especially if you’re a four-star writer. As long as you follow the requester’s directions and they accept your work, you will be paid. The amount you’re paid will be listed before you even accept your job. Paid weekly, you can start writing the minute your account is approved. ProBlogger, created by Darren Rowse, has been teaching the internet how to make money since 2004, and he’s quite good at it if you haven’t been to his blog before. Aside from teaching us how to make money, he also has a job board dedicated to freelance writers who are looking for work. While the competition may be fierce for those looking to apply for a writing job, about one to three jobs are posted daily and some of them come from leading brands we have all heard of. It may be worth checking out if you want to work with some of the best and potentially turn your freelance writing into a full-time position. NOTE: You can also use the freelancing websites mentioned above, but in this section, I just wanted to focus on writing jobs only. If you’re a fan of games, and I mean any games, there are quite a few websites out there that will pay you to play games. Yes, you hear that right — pay you while having fun. While you will not make a ton doing so, if you’re looking to burn some time, explore some new games and make a few dollars, here are a few of my favorites that paid me in the past. Swagbucks, by far, is my favorite way to make cash online. Aside from the multiple games on their website, they offer surveys, tasks, videos and so much more are consistently adding offers by the day. At the moment, for example, they had slot machines, solitaire and Angry Birds, to name a few. Just load the game, play and get points for doing so… it’s that easy. There’s a reason many bloggers promote Swagbucks and it’s for good reason. If you haven’t signed up, I highly recommend you at least sign up to see the offerings. Again, you won’t get rich, but if you make it a habit to play daily, I do not see why you couldn’t make $30 to $50+ a month. Inbox Dollars, like Swagbucks, offers a variety of ways to make money, including games, which are powered by GSN games. Even if you’re a member of GSN games, consider signing up with Inbox Dollars as they will give you cash back on all token packs you purchase, if you’re into that. Inbox Dollars offers a variety of ways, so it doesn’t hurt to add it to your money-making arsenal. Another website I wanted to include — Cash Crate — works just like Swagbucks and Inbox Dollars. With a variety of games, they also hold tournaments, wherein you can get win some pretty cool prizes. If you want to play more than just games, then again, just like the sites mentioned prior, they offer a variety of tasks you can complete for cold hard cash. Around since 1996, MyPoints is yet another website I wanted to add. Pretty diverse, this website, like the others mentioned above, will pay you for more than just playing games. They also pay you to read e-mails, watch videos and take surveys. With a multitude of offers and games, MyPoints could keep you busy for quite some time. While the Quick Rewards website looks out of date, it does pay out in the form of Paypal and over 50 other redemption offers. Whether you want to play games or watch a video, Quick Rewards has a variety of ways to make money. Once you hit $5, the company will then pay you in as little as 24 hours. This one is kind of like getting paid to play games, but it doesn’t work exactly like it. When you download the App Cent app, you will be paid every time you download an app, but from the most I downloaded, many weere games, which means you’re kind of being paid to play games. You won’t make a lot of cash, but if you want to test out new games, I highly recommend trying the app out — it’s free! If so, Bingo! Zone, the world’s longest-running online bingo game wants to pay you if you win. With prizes starting at $1, the website offers live bingo games around the clock 24/7. It’s free to join and you can start making cash as early as today. Playing games with GetPAIDto is an easy way to get paid for your time, according to the company’s website. To use, simply register on the website and earn what’s known as GPT points as you play. Once you earn enough, you can then cash them out and get paid via Paypal. At this moment, some of their most popular games included Mahjongg Candy, Sudoku, Word Wipe and Sweet Shuffle, to name a few. Honestly, there were a ton of games, so there’s probably a good chance you will find one you like. Paying out more than $1.5 billion — yes, billion with a B, GSN Games offers a variety of games, including card, word, game show, arcade and strategy games. Coming from the hit channel, the Game Show Network, if you’re already going to pay the games, you might as well be paid for it, right? Did you know there are apps that you can download on the app store that will pay you to download other apps and test them out? Yes, it’s as simple as it sounds and some apps, if you use them enough, could pay more than $20 a month! The more you download, and the more apps you try out, the more you can make! Whether you have a college degree or not, there are a variety of tutoring services online that are looking for someone like you. From teaching children in China English to helping a high school student with their math homework, the web is filled with a ton of awesome tutoring companies that are willing to pay you to help others. VIPKID does require you to have a bachelor’s degree and one year of some sort of teaching experience, but if you’re able to get paid the screening process, the pay is quite well — up to $22+ an hour! To date, the company has more than 60,000 teachers, 500,000 students and no lesson plans or grading is required. Best of all, you can work on your own terms. Varsity Tutors is always on the lookout for tutors, but unlike some of the tutoring options here, you can also meet your students locally, aside from working with them remotely if you so choose. BuddySchool offers peer-to-peer tutoring, where you can arrange a lesson in just about anything, from languages to businesses. To sign up, the registration is free, and once enrolled, the company will ask you to create a tutor profile, explaining your skills and experience. Then, if a student likes what they see, they can request a booking. At the time I glanced at the website, it appeared most tutors charged anywhere from $10 to $20+ an hour. Like BuddySchool, Happy Tutors is a directory where students can find tutors who created a profile on the website. While the website appears to receive some traffic, the only downfall is that tutors do need to pay a listing fee, which is said to be anywhere from $25 to $100 per year, depending on the plan you select. All of the tutors who want to work with TutorVista need to supply a professional resume and cover letter, just like they would if they were applying for a job. For students, this is a good thing as it not only ensures they are working with the best, but it weeds out a lot of people who shouldn’t be tutoring in the first place. If you feel you have the skills and experience to teach others, consider applying and see if you can get accepted and start making a few extra dollars. Tutor.com also has an application process, just like TutorVista, but the company requires you take a subject exam, participate in a mock session and undergo a background check. Most of the tutors, from what I did see, were industry professionals, professors, teachers, and Ph.D. students. The internet’s #1 freelance website, Upwork, has a tutoring section, but the selection, when I glanced, was quite small. It doesn’t hurt to check out the jobs here as you never know if you qualify for one. If so, great! There are companies that are willing to pay you to translate from one language to the another, usually English, but this is not always the case. Proz is said to be one of the largest translation websites online, with more than 300,000+ members. The payment depends on the job size, but if you’re new to the game, I highly recommend starting here. Unbabel has more than 50,000 who earn money powering the world’s most trustworthy translations. If you’re bilingual and you want to work on the go, simply complete their training and evaluation to start accessing the paid apps. Gengo offers a flexible schedule, allowing you to set your own hours and work wherever you are in the world. With thousands of projects available every day, you can find the translations that suit you. To see how much you can earn with Gengo, they state it will depend on your language and the current customer demand. You can play around with a calculator on the official website to see the monthly average users often get paid. With Translate.com, sign up and take the entry test. If approved, you can then translate the text and get paid for your efforts. Translations range from blog articles to support tickets and more, according to the company. Like the other websites on this list, you can work any place, any time, but the cool thing? Every task is on a first come, first serve basis, meaning there’s no bidding or waiting. In this section, I will talk about the many companies online that will pay you to transcribe messages, whether it’s a video or medical related. In short, as long as you can type fast — at least 50 words per minute (WPM) — and you’re comfortable with the idea of typing as someone is talking, then this job could be ideal. In fact, many people do this as a full-time job online. While I touch on the major companies here, I did write about 101+ companies willing to hire transcriptionists from home, so I encourage you to check it out. I talk a lot about mTurk on this website, and it’s for a good reason. It’s by far one of the best ways to make a few extra hundred dollars a month, especially if you consistently use the site and have good metrics. I’m going to talk much more in-depth about mTurk in the future, but for now, I recommend you visit this subreddit and this mTurk forum to learn more about how the mTurk dashboard works. Now, if you use mTurk, keep in mind that there’s more than just transcription-based job as you can find a variety of other jobs, such as data entry, collecting data or even analyzing a picture. Honestly, the jobs can greatly vary. But for now, I highly encourage you to sign up for an account — it’s free, and once you sign up, you can view the jobs immediately and start working in a few minutes. Clickworker works a lot like Amazon mTurk, but the biggest difference is that it’s based outside of the United States. U.S. residents can apply, however! If you like the idea of mTurk, then I would add this to your list, especially if you’re solely looking for transcription-based jobs. Again, since it works like mTurk, you will find other job postings as well, including data entry and other odd jobs. Crowdsurf specializes in providing transcribed material to the hearing impaired, and if you’re interested in working with them, you will need to create an account with mTurk — the website I mentioned earlier. From the postings I did look at, you can earn up to five cents for every 15 seconds of audio, and best of all, you will be paid through mTurk, which pretty much means your payout is guaranteed and you do not have to worry about any scams. As long as you can pass the skills test while applying, Quickate will be willing to hire you, even if you have no experience. While most of the jobs performed with Quicktate are voicemail messages, other files, according to the company’s signup page, may include letters, medical files, memos and more. Quicktate pays one cent for every four words and you’re able to work as you please. Like most of these transcription websites, Rev will also ask you to pass a skills test prior to applying. Paying up to $40 per audio hour, Rev.com pays via Paypal and allows you to work as much or as little as you want. The company requires no special equipment aside from a reliable internet connection. An older transcription company founded in 1989, Tigerfish has been hiring at-home transcriptionists ever since. Once again, you will need to pass a skills test, but unlike most modern-day companies, Tigerfish does ask you to use specialized transcription software and a foot pedal. To work with TranscribeMe, they will first ask you to take a short transcription test, and if you’re able to pass, then you will be put on their waiting list if a job were to open. In short, the company is said to pay up to $22 per audio hour and no special equipment is required to start working. Data entry jobs are fairly straightforward and will have very few barriers if you wanted to start today. While the job may be mundane for some, it can pay a few extra hundred dollars a month if you find the right company to work for. And if you’re unfamiliar with how data entry works, it works like this: a company may ask you to enter data from a receipt, for example, while another may ask you to input contact data from a database into theirs. As the name implies, you will basically enter data into a database. So if you have no experience or a college degree, then don’t fret as these companies are looking for qualified applicants as long as you have a good work ethic and some computer skills. Axion is the real deal, and while the company doesn’t have a lot of openings, it can be a good idea to enter your name into their system in case an opening does arise in the future. In order to qualify, I did mention you need no experience most of the time; however, Axion does ask you to have a few years in data entry if you want to apply. They also ask you can type up to 50 WPM, with few errors. While this company does ask to pay a fee to enter their database, I can promise you this is not a scam, even though I always reiterate that you should never pay for a job. I mentioned Clickworker above, and yes, they have plenty of data entry jobs as well if this is the type of job you’re looking for. As mentioned, you can work as you please and choose from a variety of jobs that fit your needs. Yes, mTurk offers a variety of job offerings, including plenty of data entry-like jobs. In fact, these are most of the jobs you will find here. These jobs can include finding CEO data, entering data from a receipt scan or simply entering information from one site to the next. mTurk, again, is one of the best ways to make money online and can become quite addicting once you get the hang of it! I’ve mentioned Microworkers before, and like mTurk and Clickworkers, it works in the same way. Jobs I have found here includes transcribing a license plate scan, tagging images or even tagging products. Jobs are aplenty here and if you like the idea of mTurk or Clickworker, then definitely add this one to your list as well. There are a lot of other data entry companies online, but sometimes, you may find they do not have job offers available at the time of applying. If you find this to be true, don’t be discouraged as they may open jobs from time to time or allow you to join a waiting list. The more jobs you add to your waitlist, the better your chances of landing a job can be. Want to make money while browsing search results on Google? As you know, the internet is filled with a TON of information, and Google needs your help keeping its search results clean. Basically, you will search a term the company asks you to and you will provide your feedback based on the training you go through. These jobs are legit, and while they do not pay much — about $12 an hour, it can be considered a great at-home gig. You have probably heard of the term “mystery shopping” before, and yes, while there are a lot of mystery shopping scams out there, you will find some gems as long as you know where to look. Much different than product testing online or other online related jobs, mystery shopping requires you to go to a store or specific location, and either make a purchase, take a picture/s of something, analyze an employee and/or perform some sort of store-related test. The results will greatly vary, but you will be expected to follow details closely if you want to keep your job. While this isn’t a way to make money online, per se, it’s an awesome flexible job that can easily make you $50 to $100+ a day once you get the hang of it and find a company you like working for. But, if you want to do it from the comfort of your own home, some companies do allow you to work over the phone by calling specific companies, so it is possible to make all of your money from home. I could easily write 50,000 words on mystery shopping, and I tried my best to include the most reputable companies online. As you can see, there are quite a few companies you can apply with, each with their own criteria and the number of jobs available. In the end, keep in mind that mystery shopping really isn’t a job; rather, it’s a way to make EXTRA cash — anywhere from $5 to more than $75+ per job. If you’re interested, NEVER pay to receive this information and never cash a check if you didn’t do any work with the company. There are a lot of scams out there, and I would hate to see you fall victim to one. In short, never pay to join a company, never cash a check if you didn’t do work and always make sure you research the company’s reputation before starting any mystery shopping jobs. Another awesome way to make money online, believe it or not, is via testing out products for major brands we have all heard of. While it does sound too good to be true, it is possible as long as you know which companies are willing to pay you for your time. How does it work, you’re wondering? A company often releases a new product and will want the public to test it out before it goes public and will ask for your feedback in doing so. And for your time, they will not only give you the product to keep, but they will also pay you for your time. If you want to read more in depth, I did write on ways to become a beta tester in the past, showcasing some of the best companies/websites to work for. Now, there are a TON of companies that will send you products in return for a review, so I’m not going to write a description on each. Some will even pay. Instead, I will just list them here and let you explore the company itself. All of these companies are 100% legitimate, I promise! As you probably know, the internet is filled with billions of websites. While many of these websites are simply hobby-based, those who wish to make money often coming to someone like you to test out their website. They want to know what you think, offer feedback and even suggestions as to what they can do to make it better. Of course, they will not expect you to do this for free, and most of the websites I mention below will pay you for your time, making it a win-win for both sides. According to Loop11, they will pay above-average rates for testers, but from what we researched, it appears to be average, paying about $5 per test. If you want to test high-quality websites, you must first complete a five-minute qualification test before you’re approved. During this test, you will be asked to speak your thoughts out loud via your computer microphone. UserCrowd offers you the opportunity to earn money while giving design feedback. It’s quick, easy to do and the company even notes that you do not have to be a usability expert in order to participate. If you feel you have an eye for design, this is a great opportunity to help companies improve their look. If you want to join UserFeel, they will ask you to fill out a screener before they contact to do site reviews, but if you’re approved, you can start receiving jobs in as little as a week. Each test pays about $10 from our research and you will be paid via PayPal. Userlytics pays up to $20 per project, depending on the type of test you take. In fact, the company noted that some tests paid as much as $90! If you want to start earning money while testing websites and apps, the company asks you to fill out its short, easy form today. UserTesting will pay you up to $10 per test whenever you visit a website or an app. Simply complete a set of tasks, record your thoughts out loud and get paid for your time. Now, these are not the only websites that will pay you to test websites. If you don’t want to commit an hour or so to tutor, well you’re in luck as there are websites out there where you can get paid for your expertise, all by answering a simple question. Someone will ask a question, you answer it using your expertise, and if the person asking likes it, you get paid. Whether you’re a doctor, lawyer or maybe even a computer software expert, then Just Answer wants you to apply. Quite possibly the go-to website when someone needs an expert answer, you probably have seen this website pop up in a Google search before. To use, simply answer the question and get paid up to $25 per response. However, not anyone can apply as restrictions do apply. Whether you want to tutor or answer questions, Chegg Study offers both, even claiming you could make more than $1,000+ a month in doing so. To apply, you do need to provide two forms of school verification and you must complete a subject test in the area you would like to tutor in if you want to be part of their program. If you’re an expert in anything, then Experts 123 wants to hear from you. Every question you answer earns you “expertise” points, in which you can later turn into rewards. KGB is kind of different as they allow you to answer questions via text message. While the payout isn’t high like most of these websites, expect to make anywhere from $0.02 to $0.10 per answer. Again, not much! To apply, the company asks you to pass the special agents challenge, complete the training and all of the registration paperwork. If you know a lot of about electronics, particularly fixing them, then you may want to consider Fixya. While they do not pay you cash for answering questions, you will, instead, receive points, which you can then redeem for rewards in the future. HelpOwl gives you points anytime you answer questions, which you can then trade in for great prizes in the future. Maven is said to be trusted by some of the world’s leading companies, such as Intel, GE, HP, Boeing and so many more. If you were accepted, then you basically become a consultant, wherein you will help companies around the world with your wisdom and experience. Like JustAnswer, though, the application portion is rigorous, meaning not everyone is accepted. One of the easiest ways to make money online is via your photography skills as thousands of websites and publications, every day, are looking for unique photos for your website. Regardless of what kind of pictures you take, you can upload them to the websites noted below, and if someone wants it, they can either buy a license to legally reuse it or even buy it 100%. If you want to sell your photos, it can be done, even if you do not have a ton of experience. iStockPhoto could quite possibly be the largest photo distributor on the web, and if you want your photos to be seen, this is a platform to consider. In the beginning, you will receive 20% in commission, but the rate is said to double if you exclusively sell with their platform only. Aside from photos, the company also lets you sell audio, art and video. With more than 200+ million royalty-free videos in their database, Shutterstock is a powerhouse just like iStockPhoto. If you signed up with Shutterstock, you can get paid for more than just uploading photos — you can also get paid for referring customers and uploaders. While the payout is low — about $0.25 per download — it can add up fast due to the traffic they do receive. With over 13 million photographers in more than 190 countries, Getty Images, via its 500px collection, offers millions of photographs for exclusive licensing. If interested in working with one of the biggest names in photography, then this is definitely one to keep on your radar. Crestock works on a tiered scale when it comes to the commission they pay out and is said to be as high as 30%. While it isn’t as high as some sites, the website does let you list your photos on other websites as well. This can be a great perk for some. Every time your photo is sold with Dreamstime, you can make up to 80% profit. With one of the highest profit margins on the market, Dreamstime is said to pay you quite handsomely for unique photos, so if you do plan on using this service, be sure to use it exclusively! Ran by the behemoth, Adobe, Fotolia will pay you through Paypal and offers a flat 50% of what you sell. From what I read, Fotolia is often used by international users due to the payments via both PayPal and Skrill. For this reason, it could be one to consider if you’re not from the United States. There are a lot of websites that are willing to pay you for your photos, usually as long as someone buys them. Go to any eCommerce-based website, click on a product and there’s a good chance you will see reviews posted by those who purchased that item in the past. While you may have posted a review in the past, did you know that there are companies out there who are willing to pay you for your review? Simply test a product, write the review and the company will pay you. Now, while you will not get rich doing it, you can make a few extra dollars if you sign in every so often. PinchMe doesn’t necessarily pay you cash; rather, they will send you free samples, in which they then ask for your personal feedback. These samples range from health products to pet goods. There’s no catch and no credit card is required. If you’re a fan of trying out samples and want to work with some of the best brands on the market, then I highly recommend this option, especially if you’re a fan of trying new things out. CrowdTap allows you to leave a high-quality review for any of the products listed on the app. After you successfully leave a review, the company will reward you with rewards, samples and even gift cards. Also, aside from leaving reviews, the company will credit your account for completing polls and responding to some surveys. Gen.Video is unique as the company will ask you to record a video of your product review. So, if you’re comfortable being on camera, this may be a choice to consider. Allowing you to review just about anything, I highly consider it if, again, you do not mind being on camera. Review Stream is free to join and from the looks of it, they will pay you for just about any review you leave, from books to a hotel stay. When you join, select a category of interest, write the review, about a few hundred words, and submit it. After your review is accepted, then your account will be credited $2 from my research. I will mention this website once again in the “get paid to review music” section, but if you love music, I highly recommend you check SlicethePie out. Listen to the music, but in some cases, it could be a review for something else, such as clothing. Submit your review and your honest feedback, and if the company approves it, you get paid. Payment is sent via PayPal and the minimum threshold is $10, with most reviews paying up to $0.15 per review. Software Judge will pay you up to more than $50 for an honest review for software you use. As long as you’re honest and you’re reviewing a piece of software you use, the company will want to hear from you! Aside from paying you for your reviews, the company will also send out freebies on occasion for writing reviews. I mention User Testing on this list, but you can use it to create reviews as well. User Testing works a little differently as they will ask you to visit a place for about 10 to 20 minutes and then write a review on your experience. Paying up to $10 per review, you will need to pass a test if you considering this option. If you have a social media following or maybe a blog with some visitors, then you may want to consider FameBit. When you sign up, you can search companies who are looking for particular demographics, and as long as you meet the criteria, then you can apply to write a review for the company, either in the form of a written review or even a video. It really is dependent on what the company is looking for. Again, you will need a following to use this website, but if you meet the qualifications, you can make some great money. NOTE: Do not think you need millions of viewers or followers to make money as some advertisers are willing to accept you, even if you had a few hundred visitors a month or as little as a few thousand followers on social media. Every company will have its own qualifications, so if interested, I just recommend you read the requirements before applying as all of these companies will vary. 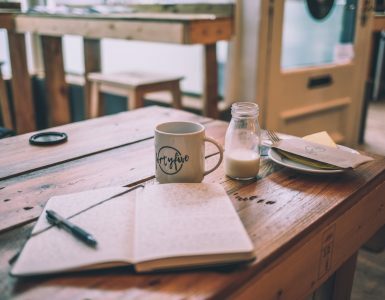 However, if you’re looking for a full-time job (and maybe benefits) with a reputable company, there are a lot of great websites out there that post remote jobs daily from well-known brands. Like searching for any job, as long as you fit the qualifications, it doesn’t hurt to apply! There are a lot of scammy work-at-home jobs, but if you use these resources, you may be able to find a dream job that allows you to work from home in your pajamas. As the name implies, performing micro jobs is just that — tackling a small job and being paid for it. These jobs are fast, easy to do and will not pay much per job, but the more you do, the more you can make during the day. Aside from these, there are other jobs where you can also perform micro tasks or create your own, essentially doing the work for someone else. If you’re unfamiliar with Fiverr, you’re not going to make money by loading the website and completing the tasks. Instead, you’re going to create your own jobs, whether it’s writing content or performing data entry, and wait for the customers to arrive and purchase your job. Think of a skill you can sell! I know you can think of at least one. While it will take some marketing on your end, this platform can really take off once you receive some positive reviews and you continue to do dish out some great work. Again, do not expect to see a lot of money in the beginning, but once you get the hang of it, you can really make some good money. In fact, some people make a living at it! Aside from Fiverr, if you like the concept, I did write about the 24 apps just like Fiverr. Crowdtap offers thousands of questions every day, in which you simply answer. By doing so, you can earn rewards and even free product samples. It’s free to join and the more you answer, the more you can redeem. clickNwork offers a wide range of jobs, ranging from writers to data entry specialists. Some people recommend JobBoy.com online, but the jobs are far and few between. Not highly recommend, but it doesn’t hurt to check out if you want to make a few extra bucks. MiniJobz offers micro jobs, but again, not as many as mTurk, etc. If you’re looking for simple micro jobs, then it may be one to consider. With most payments in the $0.10 to $1 range, RapidWorkers works a lot like mTurk, with requesters asking to post reviews, blog about a product or even follow them on social media. It’s free to join, the tasks are fast and the company pays via Paypal. If you’re an artist and love to make jewelry, then why not turn that hobby into a part-time job online? While selling jewelry before the internet existed was quite the challenge, it isn’t anymore as there are a variety of awesome websites, aside from Etsy, that you can use as your merchant platform. You do not need any programming experience nor do you need to be a technical guru to start your store, either. Simply upload your crafts, market them and pray for that first sale! Do not expect to make money immediately as it may take time to build your customer base and/or develop your brand. 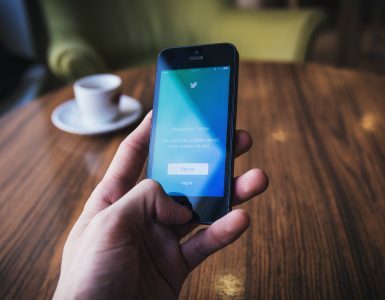 If you’re an avid user of Twitter, Pinterest or another social media-type website, there are websites out there that will pay you in exchange for posting, pinning or sharing a piece of content. PaidPerTweet is ideal for those who have quite a few legit Twitter followers and is said to pay a few bucks if, again, you have a decent sized account. Loop88 connects Pinterest influencers with top brands to help create engaging content that’s gets shared on Pinterest and multiple social channels. If you have quite the following on Pinterest, contact the company to see if they are willing to work for you. If so, it works in a simple way: you pin and you get paid when you do. Viraliti works a pinch differently than the other websites in this sub-section. When you create an account, you are able to choose a campaign from the company’s ad inventory in which you want to promote. Then, once one is chosen, post the campaign via your social media network and get paid each time you get a click. As soon as you reach $30, the company will then pay you. To estimate your earnings, you can do so via the official website. Share Magnet works just like Viraliti mentioned prior. The only, difference, however, is that you can browse the ad inventory before you even sign up. For example, one ad I found would pay $1 a click, while another would pay $0.09 a click. This would all depend on the type of advertiser you’re promoting. Again, find an advertisement you like, post it to your social media, and for every click you receive, you get paid according to the advertiser’s terms. SponsoredTweets, just like PaidPerTweet, pay you as long as you have a legit and decent sized following. While the company works with major celebrities, they may want to work with you, again, if you meet the criteria. If approved, the payments did seem to be the best out of most influencing-type sites. TwitPub help you get paid by simply posting on Twitter, getting rewarded with a high “80%” payout. When I posted this, the company was at capacity and was not accepting users, so I recommend you check it out occasionally if interested in joining. Jury duty isn’t fun, but what if you could be a juror online with a mock case and get paid for it? Yes, all of it’s done in the comfort of your own home. If you’re a fan of law and/or the courtrooms, then you may want to help some lawyers online as they often resort to these services to help simulate the legal process. eJury “revolutionized” the way attorneys prepare for trials and need your help with online mock cases, paying anywhere from $5 to $10, depending on the length of the case. They say you won’t get rich, but you can see how much you get paid before accepting. To learn more about eJury and the process, you can do so here. eJury does ask that you’re a citizen of the United States, at least 18 years old, be of sound mind and be able to read and write. They also ask that you were never convicted of a felony. Conducted by the Wilmington Institute Network, JuryTalk is always on the lookout to add more people to its mock juror database. JuryTest needs jurors, where you can help review summons in your e-mail, all while offering feedback and getting paid. Payments, according to the company, will depend on how long the case is. On average, users who signed up for Online Verdict had to spend up to 60 minutes reviewing a case, but for your time, the company is willing to pay up to $60. To be put into the juror database, the company asks you to fill out a form and if selected for a jury, they will notify you via email. Since 2004, the company has been helping attorneys, insurance companies and corporations with their court cases. This one could take a bit of work, but it could pay huge dividends if enough people buy your courses. If you feel you have expertise in anything, and I mean anything, you may want to consider create a crash course, whether it’s a written guide, videos, audio or a mix of the three. Honestly, this course could be on any topic, and as long as you have a passion for the topic and people want to learn, there are people out there willing to pay for your knowledge. Again, it could take a lot of work in the beginning, but once done and it’s marketed well, it could pay off time and time again. All of these websites will have its own commission structures and the amount of traffic it could send to your courses. For some, they just want a platform to create their courses and will market it on their own, while others will want the visitors on the website to find their course, similar to how you find videos on YouTube. That traffic could lead to more sales, especially if it’s priced right. Regardless, be sure to check out how much the platform will take from you in terms of commission and how much traffic the website receives. Don’t want to sell a course? There are actually companies out there that want to pay you to listen to music. While it may sound too good to be true, these websites won’t pay you a ton of money, but it could be upwards of $1 per song, depending on who you sign up with. The website/app will ask you to listen to a song for up to 90 seconds, and then, you will be asked to submit a short review to let the company know what you think. In some cases, you just listen to the radio as you normally would. If approved, you get paid for your submission, which, is usually listed before you accept the job. Aside from listening to the radio, Earnably offers a variety of options that can make you money as well, such as taking surveys and even watching videos. While this website is part of the RadioLoyalty family, which I mention below, this could be another option for those who are looking for another source of money. While HitPredictor doesn’t pay you in cash, per se, they pay you in points, which can eventually be turned into gift cards — almost just as good. HitPredictor wants to give you the power to directly influence the new music before it’s released, where you can make the difference in the music world. Signing up is free and only takes seconds. Another music review-like site that works just like HitPredictor and the website I mention below, SliceThePie. However, the payments, when I researched the company, was as much as $1 per review — one of the highest. The minimum payment, however, is $20, a pinch more than the competitors. RadioLoyalty allows you to listen to their UniversalPlayer™, which is used by thousands of stations you already listen to. Simply turn on the player, listen to the music/songs you normally would and you will get points in doing so. Once you acquire enough points, then you can cash it in for merchandise on the website. From the looks of it, plan on making up to $0.40 per 10 minutes, but your results may vary. If you’re going to listen to music, you might as well get paid, right? Research FM will let you listen to snippets of music and from there, you can rate them and get paid in the form of an Amazon.com gift card. When you do sign up, be sure to add the company to your email filters list as they will send you invitations when music samples are available. SliceThePie could be the biggest music review website online, which connects independent with the average music listener like you or me. If you think about it on their perspective, you get paid for your review and the band gets feedback to work on their sound. Paying up to 20 cents per submission, the company pays via PayPal once you hit the $10 threshold. Plus, the more you do and the better your reviews are, the more you could see in terms of work. Don’t expect to make a ton of money doing this, maybe $10 or less per month, but hey, if you listen to the radio a lot during the day and/or like to explore new music, then this may be an option for you! Like listening to music, there’s probably a good chance you watch TV from time to time. While this may sound too good to be true, you can be paid to watch TV. You won’t make much doing so, but hey, if you’re going to watch, you might as well get paid a few dollars, right? By far, Swagbucks is one of the coolest and easiest websites to earn money while doing just about anything, including watching TV. While you cannot watch anything you wish, you can select from quite a few options. Simply watch and once done, the company credits your account. Once you receive enough points, you can then cash out. A lot like Swagbucks, Inbox Dollars also has a variety of videos you can watch in exchange for points, which you can later cash out for cash and gift cards, etc. Aside from watching videos, Inbox Dollars also offers other options, including playing online and performing web searches, to name a few. Perk.tv allows you to watch short clips, TV shows, movies and more, and in doing so, they pay you in a variety of rewards, including gift cards from well-known brands like Amazon.com. From the research I did online, it appeared you could make a few dollars a day, but don’t count on getting rich. If you want to watch something new, it’s definitely one to consider. With Viggle, you can watch live TV and get rewards in doing so when you download the app. Open the app, check into a live TV show and start streaming to earn your points. The longer you continue to watch, the more you can make. You can also score bonus points if you watch particular shows as well. When you pile up enough “Perk Points,” you can then redeem them for gift cards, cash or prizes. Yes, in some cases, albeit rare, Netflix will post jobs for what’s known as a tagger job. From the comfort of your own home, Netflix will ask you to tag/categorize videos from home. While you can work from home, do keep in mind that if you were able to find a job offer, it would be a full-time position. You’re already searching Google, so why not get paid a few cents for every search you make? While Google may be your go-to, there are some additional companies that are willing to pay you to search what you’re already searching for. I mentioned Swagbucks a lot, but they offer a search engine in which you can get paid for every search you make. Best of all, you don’t even need to go to their website to search as you can download the free toolbar to search for you. While they do pay you, you also have the chance at winning big prizes every time you make a search. Yes, the second largest search engine, Bing, offers points for every search you make via the search engine as long as you’re logged into your Microsoft account. Aside from searching, Bing will also reward you for taking quizzes, browsing pictures or completing random tasks. Creating a Microsoft account is free and earning is very easy! Once you earn enough points, you can then cash in for gift cards or even sweepstakes tickets. While “cash” isn’t an option, they do offer a variety of options from some pretty cool retailers. While Bing isn’t as good as Google in some cases, the results, at least for me, work, and whenever I do a search, I try Bing first to build up my point stash. Be sure to check out my in-depth review if you’re interested as to how it works in detail. CashCrate, a lot like Swagbucks, will pay you to search up to 10 times a day, paying you a penny while doing so. Yes, I know it doesn’t sound like a lot, but you can earn in a variety of ways on CashCrate, including surveys, watching TV and more. It’s free to join and to date, the company has more than 4 million members! Qmee allows you to get paid when you search on your favorite websites, including Google, eBay, Amazon, Bing, Walmart and many more. If you’re already searching on these websites, then you may want to consider joining to earn cash for what you’re already doing. As the audiobook industry continues to grow, so does the demand for publishers/authors who are looking for professionals to do a voice-over for their books. If you love reading and feel you have a great voice for it, then I highly recommend you check out ACX, an audiobook company that works with Amazon, Audible and iTunes. Simply put, the website connects narrators with authors and payments are said to be about $200 per finished hour. Always wanted to write a book or have an interest in a topic? Nowadays, you do not need to know a million dollar publisher in order to publish a book nor do you need a professional proofreader. I mean, look at me, this post probably isn’t the best in terms of grammar, but I’m getting the point across, right? If interested in writing an ebook, it isn’t as hard as you think when it comes to publishing it to the world and making cash. Start writing on your favorite word processing platform and then, when you sign up, the platform will tell you how you to convert your book in order to start selling. Yes, it will take quite some time to write a good book, but once done, the book could pay off huge dividends. What the heck does this mean, you may be wondering? Well, just as it sounds — you can get paid by just turning your computer on and walking away, allowing a third-party application to use your computer’s resources. So, essentially, you get paid to literally do NOTHING. The PEER ZONE is a secure Java application which will run in the background as you’re using your computer and is designed to test the performance on multiple websites online. It’s as simple as installing it and letting it run; it really is that easy. When using your system’s unique characteristics, in combination with other computers around the globe, the PEER application is able to determine how well a website performs, helping a webmaster improve if need be. To make money, just run the PEER application whenever you wish, and as long as you’re connected to the internet, you’re going to make money. MinePrize.com offers allows you to get money for the CPU power you’re not using right now. According to the company, they will use your computer as part of its computer network and the company’s server will assign work to your computer. The longer your computer is running, the greater your reward will be. Best of all, you do not need to download any software. By far, it seemed like one of the better options of the many mentioned here. Also, if you sign up, the company will give you $10 for free if you use this link. When you sign up for the MQL 5 service, you’re essentially allowing the company to access your computer’s unused resources. Like the PEER ZONE application mentioned earlier, you will need to download software via the official website to start making money and payments are made via Paypal or WebMoney. Since the application only gains access through your computer’s sandbox, it will not have access to anything but the directory you give it access to. MyCashWare.com was another website I found online that allows you to earn extra money by just leaving your computer on. Like the rest of the websites mentioned here, you download the software, allow it to run and you can get paid by doing so. Working a bit differently, though, the company will turn your computer into a mining space for virtual currencies such as Bitcoin. The one thing I liked about this company, however, was that they allowed you to refer friends, which could greatly increase your earnings. For example, if you referred 50 of your friends with you, your estimated referral earnings could be a few extra dollars on top of what you’re earnings since you earn an additional 20% of whatever they earn FOR life. I mentioned selling your books, electronics and a variety of other items, but did you know there are some websites out there that will pay you for other “junk” as well? If you have any cardboard boxes that are in good condition lying around the house, BoxCycle will purchase them from you! Fill out the form online and wait for a response back as to how much you may be able to get. Again, as long as the boxes are in great condition, the company will want them. EnviroTek will buy back any used cooking oil as long as you meet the specified minimum requirements. While the company usually works with small businesses, it could be a business to consider if you deal with a lot of cooking oil. 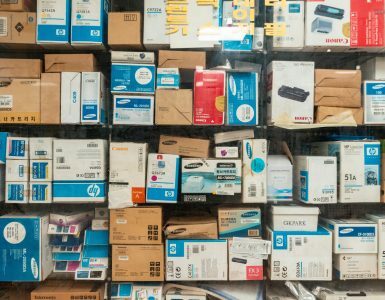 The next time you buy a new ink cartridge, do not throw your old one away just yet. Instead, consider selling it via a website such as NeedEmpty or Dazz-Cycle. You will not get much, maybe $2 to $7 each, but hey, it’s better than throwing it away! GotScrap will buy any junk metal, whether it’s a bike, appliance or even soda cans. With locations throughout the United States, as long as you can bring it to them, they can pay you for the material. If the items are too large, then they charge a small fee, but it could be worth it if you just want to get rid of the scrap. I thought this was an odd one, but did you know you can sell your used wine corks on eBay? Yes, you heard that right… USED wine corks. The price isn’t high, but you can get about $1 per 10. And if you’re thinking about the bottles, yes those sell, too! Depending on the type of bottle you have, some sell for as high as $5! We all hate junk mail, no one is going to argue that one. But what if you could get even MORE junk mail, but get paid for it? Marketing companies often want to know how fast it takes for the mail to arrive at your home when they send it out in bulk. Referred to as a decoy send, they take these times very seriously and want you to help them in their research. Some companies, such as the Small Business Knowledge Center, asks you to send your junk mail to them, while others will want to send junk mail to you. Regardless, if you’re able to get approved, most people report making about $10 a month doing it. I didn’t really want to include this option here because you’re not technically “making” money, but instead, you’re saving it. Regardless, if you’re already shopping online, there are a variety of companies online that will give you cash back by simply clicking their link and going ahead with your purchase as is. Once your purchase completes, then you get a cash back check at the end of the month. This method works with almost ANY retailer and in some cases, you could save up to 20% off! By far, CashBackMonitor.com is my favorite cash back aggregator. To use, it’s quite simple. All you need to do is load the website, type in the store you’re going to shop at and the website compares 42 reward portals, showing you which one offers you the best cash back. Not only does it compare cashback website, but it will also show you which credit card is offering the best cash back deal as well. If you want to receive cash back while shopping, I highly recommend starting here first. Most of the time, you will find that Ebates offers the best cashback deal, but this isn’t ALWAYS the case; however, from my shopping, they often come out on top. Ebates has thousands of stores, a great tracking system when you start your purchase and special cashback deals. Every so often, when you sign up and make your first purchase, the company will include a special one-time bonus, usually around $10 or so. By now, you’re probably sick of me mentioning Swagbucks, but if you’re going to start using the website and want to increase your reward balance, then highly consider shopping through their shopping portal as well to gather points. To date, Swagbucks works with more than 2,000+ stores and is always adding more. Like Swagbucks, MyPoints works in the same way, and as mentioned in the “completing offers” subsection above, don’t forget to check out your portal to see if it’s worth the points if you plan on shopping through a specific retailer. Ibotta is geared toward grocery shopping sprees, but if you download the app and purchase the items on the app, the company will pay you as long as you upload a valid receipt. It’s easy to use, and if you’re going to purchase the groceries anyway, you might as well get paid! While the above mentioned four websites are some of my favorite resources to check out before I shop, there are others you may want to consider as well. Remember, if you use the CashBackMonitor website, it will compare most of these websites if you had a retailer in mind. More than 14,000+ words later, I really hope this guide helps you learn the many ways you can make money online. As you can see, there are quite a few! While 90% of these will only net you a few hundred dollars a month, some at-home opportunities could lead to a full-time job if the right job is found. 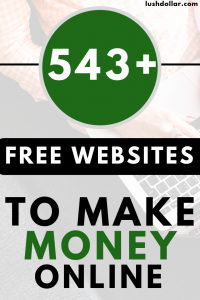 If you’re more into looking for ways to make money NOW and fast, then I recommend you check out these 40+ ways to make money now. Again, there are a lot of scams in this industry, so if it sounds too good to be true or the claims just seem outright ridiculous, then please do additional research to make sure it is, indeed, a great opportunity. In the meantime, you have a lot of work to do if you want to make money online, and I tried my best to make sure all of these companies were an ethical and honest venture. The harder you work at it, the more you can potentially make. This is like anything in terms of work, right? I will continue to add opportunities to this list as time goes on, and in the meantime, if you have any legit opportunities I’m missing (I sure I am), I would love to add them! If you see a scam on this list, let me know as well!